The international Uppsala Health Summit is an annual meeting for dialogue on challenges for health and healthcare. The summit is a collaborative effort between eleven Swedish public and not-for-profit partners, led by Uppsala University. Each year, the summit focuses on one challenge for health and healthcare and the question on how to overcome obstacles from implementing knowledge from research and innovations. Around 200 personally invited experts from all over the world and from different sectors come together to engage in dialogues in plenum sessions and in solution-oriented workshops. Last year, delegates came from 39 different countries. This year’s summit takes place form 14-15 June 2018 is themed Care for Cancer. Patients today have more opportunities than ever to survive and even to recover from cancer. However, the world is facing growing incidence and prevalence of cancer and preventive actions (e.g., adopting a healthy life-style) can only solve some parts of the problem. The provision of financial resources as well as equal access to treatments is challenging for healthcare systems around the world, despite growing treatment opportunities. Uppsala Health Summit 2018 focuses on how we can open up these opportunities for a growing number of patients, by making better use of data and technologies and on how such use can pave way for a more equitable access to the best possible treatment and diagnostics within any given context. The programme is available here and addresses a broad range of topics in workshops and plenum sessions. Some of these are: precision medicine in cancer care, patients as a driving force to develop care, long term care for cancer survivors, access to treatments and diagnosis, implementing physical exercise in cancer care, and many more. HTO group members Åsa Cajander, Christiane Grünloh, and Jonas Moll are also organising a workshop on Using Data for Better Cancer Treatments. In our workshop, we will make use of the Critical Incidents workshop format we have used before at other venues (e.g., at NordiCHI 2016, which is described in more detail in this paper, and at Medical Informatics Europe 2018, which Jonas wrote about on his blog). A critical incident is an event that has happened to a person and that this person regards as important or significant in some way. Such an incident can be very useful to learn from, and thus it can be an event that is perceived as positive or as negative. Critical incidents have been used a lot for critical reflection in areas such as aviation (e.g., to analyse failures or human errors), health, education and social work. For our workshop we reached out to experts and asked for incidents we could use in our workshop to inspire discussion in the group work. Kelechi Eguzo, Marije Wolvers, and Isabella Scandurra will present their critical incidents, which have been illustrated by Maja Larsson. As the aim of our workshop is to develop Visions of the Future, we are very happy that Prof. Bengt Sandblad will give a keynote on Future Workshops, which is a well established method that has been used in various domains (e.g., healthcare, traffic control, administrative work). Making use of the instructions for a future workshop, we will then develop visions of the future from different perspectives: researcher, physician, nurse, or patient. Who can take the first step? How will this contribute to more efficient cancer care? How will this contribute to more equal cancer care? 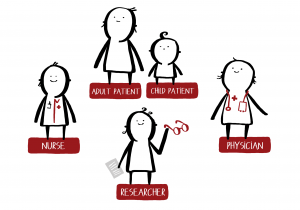 How can this influence which health decisions the patient and her kin can make? We are really looking forward to the Health Summit and will also attend other workshops and plenary sessions. You can read the pre-conference report where all workshops are outlined here. Åsa Cajander interviewed about our HTO hosted workshop at Uppsala Health Summit! The HTO group is presently involved in many different activities and one of the latest additions to the list is a workshop at Uppsala Health Summit, which Åsa Cajander (main organizer), Christiane Grünloh and Jonas Moll are organizing. This workshop was introduced by Åsa in this blog post. The planning has continued since then and now we have a setup which will soon be available in the pre-conference report which will be posted on the summit web page. On this page you can also already find a short description of our workshop, “Using Data for Better Cancer Treatments”. In February, Åsa was interviewed about our workshop! Among other things, she discusses some challenges regarding the use of data for diagnosis and treatment of cancer and how we will make use of critical incidents as points of departure in the workshop. You can read about the interview here! The summit will be held at Uppsala Castle, June 14-15, and according to the recently published summit programme our three-hour workshop will be held during the second day. Organizing this workshop will surely be an interesting and rewarding experience for all of us and hopefully we will come up with results that will inspire further research in this important area! Author Jonas MollPosted on March 12, 2018 February 18, 2019 Categories Conferences and eventsTags Data in healthcare, Interview, Uppsala Health Summit, WorkshopLeave a comment on Åsa Cajander interviewed about our HTO hosted workshop at Uppsala Health Summit! Since the beginning of the term, I have been involved in a class called “IT and Society” as a teaching assistant. The class is the product of a collaboration between Åsa Cajander and Mats Daniels at Uppsala University and Cary Laxer at the Rose-Hulman Institute of Technology in the United States (IN). 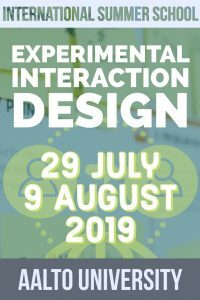 It differs significantly from other courses at Uppsala University in that it revolves around a real-life issue provided by an external client (the EPJ department in Uppsala County) and, maybe most importantly, gives the lead to the students. (I invite you to check out this post by Åsa if you are interested in knowing more about what makes the course special. Mats Daniels has also been blogging about the class – you can find his latest post on the subject here.) Those are indeed expected to work together in an autonomous fashion throughout the whole course, from deciding on how to structure the project and distribute the work among them to delivering a formal project report to the client. The role of the teachers and mine as a teaching assistant is thus first and foremost to provide students with the means to work in such an autonomous way and offer them some guidance and support when and where they need it. This year’s class is dedicated to investigating different aspects related to the tracking of people and equipment within and outside of the hospital, and is expected to result in a systems definition report. Next week, the students studying in Uppsala will be given the opportunity to go and interview different healthcare professionals at the University Hospital in Uppsala in order to gather additional information on the topic, as they now have been working on the project for several weeks. 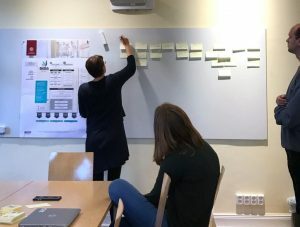 As a way to help them in tackling the challenge of conducting successful interviews, it was decided at the beginning of the course that I would hold a two-hour crash course in interviewing for the Uppsala students. Last Wednesday, the D-day had arrived. As I attended an excellent daylong workshop on qualitative interviewing during a Summer school at Kingston University earlier this year, I decided to try and emulate some of this workshop’s activities with my students. I thus had them create a short interview schedule (about a fictional topic) and conduct a live interviewing experiment. Ida (Löscher, a fellow HTO group member) kindly accepted to come by and play the role of the interviewee, while one of the students volunteered to be the interviewer, and another slid into the shoes of the note-taker. The remaining students and I settled into the role of the observer. Once the mock interview was terminated by the interviewer, I asked both interviewee and interviewer to share their experience with the group: how did they think it had gone? How had they felt? What did they think was good, and what did they think could be improved? 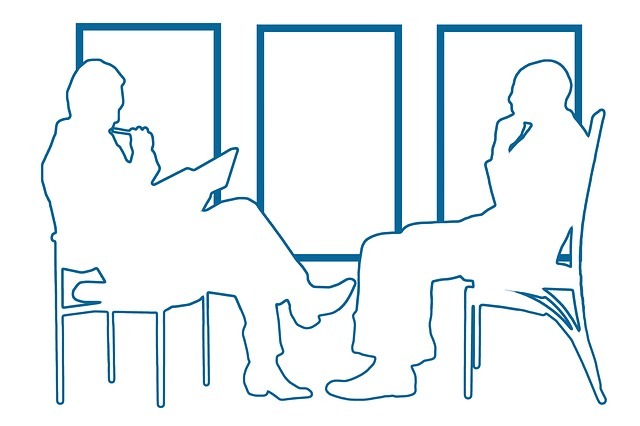 This opened a short debriefing session during which each participant came to word – either to make comment or to ask a question. I then wrapped up the course talking briefly about the analysis and reporting of interviews, a topic Åsa had wished for me to take up with the students. It is of course hard to say whether this small crash course will be effective in helping students making the most of the interview opportunities they have been provided with (especially since everything did not go as smootly as I hoped…). However, I strongly believe that experiencing and reflecting on a real-life interview, even staged, can be very helpful in order to understand what interviewing is all about – what makes it so challenging, and what tips and tricks can help. In any case, I hope that the students have appreciated the experience and will enjoy conducting their upcoming interviews. Last Monday, two workshops aimed at framing and planning future work activities were conducted within the HTO group. The first one concerned different aspects of the work environment within the HTO group and the second activity aimed specifically at planning the DISA project. During the HTO workshop, we used the affinity diagram technique to map out aspects of the work environment that we liked and aspects where we felt improvements were needed. We started out by writing down our thoughts about good and not so good aspects on post-its for a few minutes whereafter we gathered by a whiteboard on which we arranged our positive remarks in columns with related notes. After all notes had been added to the whiteboard each column was labeled to make it clear which areas worked well. Among the identified positive aspects were; good support and organization, good athmosphere and good ability to communicate to the public. When we were done with the positive side we did the same for the negative aspects that needed some degree of improvement. Among the negative aspects we found; somewhat unclear boundaries between pojects, hard to get an overview of what everyone is doing and sometimes too much information in the HTO slack channels. Later on the same day we had the workshop for planning the DISA project. Diane, Ida and I planned the workshop and invited the other DISA members to the two hour activity. Everyone started out by writing down 2-3 studies they would like to perform within the scope of the project (some of these studies had already started). This was to make sure that every participant got the chance to express what they wanted from the project. Those who could not attend sent their ideas to one of the participating colleagues before the workshop. After about 15 minutes everyone presented their ideas shortly and put their notes on the whiteboard. Again, the affinity diagram technique was used to cluster ideas from different participants into categories. On the picture above Diane has just started the process of assigning a label to each of the categories. On the poster to the left of the post-its the main parts of the DISA project are mapped out. The next step was to match the proposed studies to the different parts of DISA shown on the poster. This exercise resulted in a study being added – this was needed in order to make sure that the last year of the project was sufficiently covered. The second hour of the workshop was devoted to placing the proposed and already ongoing studies on a timeline, drawn on another whiteboard, which contained relevant deadlines (like conference submission dates, special issue deadlines and dates when individual project members’ contracts with the University went out). After we had placed the studies we were conducting, or wanted to conduct, during the first year on the timeline we added information about who should lead the different studies. The end result of this workshop activity was the timeline which clearly showed all the important dates, studies and responsibilities.